Animated TV characters Teen Titans are getting their own feature-length movie this summer. Beast Boy, Robin, Cyborg, Raven and Starfire have noticed that all the major superheroes are getting their own movies, so they decide it is their turn so they head off to Hollywood to realise their dream. Of course, it doesn’t go smoothly, especially when a super villain misdirects them as part of his plan to take over the world. The TV series voice cast, including Greg Cipes, Scott Menville, Tara Strong, Khary Payton and Hynden Walch, reunite for this big screen animated adventure and are joined by Will Arnett and Kristen Bell. 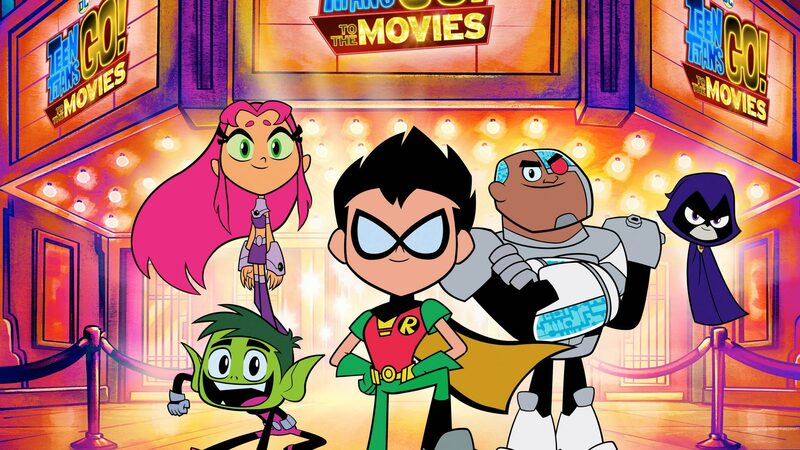 Here’s the new trailer – Teen Titans Go To The Movies will be in UK cinemas from August 3rd and in the US from July 27th. Previous PostPrevious New Ant-Man And The Wasp trailer! Next PostNext Hotel Transylvania 3 – new trailer!